There is little evidence that the pay squeeze will end soon, with only falling inflation likely to lead to meaningful wage increases next year. This is according to a CIPD analysis, which predicts that 2018 will see pay, productivity and migration top the agenda as the UK looks ahead to its exit from the European Union. 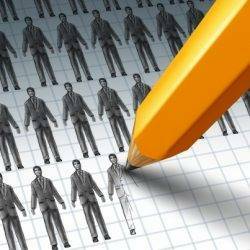 It adds that the UK workforce could tighten, and with increased constraints on labour supply, 2018 could be the year that the UK finally runs out of people to fill jobs, despite unemployment levels being unlikely to see much change. There are also indications there will be no improvement in productivity, with continued stagnation in UK productivity, which will remain well below pre-crash levels. In the CIPD’s annual labour market predictions, Ian Brinkley, Acting Chief Economist, anticipates a flattening of employment growth and weak pay growth as the UK continues to struggle with its productivity problem.